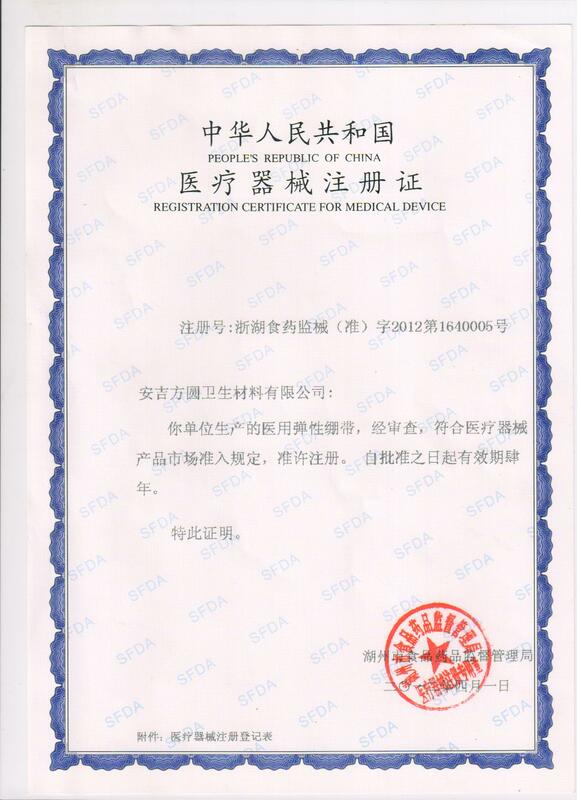 ANJI FANG YUAN SANITARY MATERIAL CO LTD is a manufacturer over 20 years of experience for the elastic bandage, Ace bandage, gauze bandage, crepe bandage, and other medical bandage products. The manufacturer owns nearly 105,000 square feet. All facilities meet the extensive requirements to ensure customer satisfaction through consistency and quality as outlined by CE, ISO, and FDA. We offer specialized medical bandage products, especially for compression therapy. Our mission is to provide the highest quality products with superior materials – while reducing the cost to our customers. Our clients are our priority. Our commitment to excellence product ranges from our manufacturing partners to our relationships with our valued customers, to contribute to the best outcomes. We welcome you to explore our products and to contact us with any inquiries. We do more than providing medical supplies, but also build relationships, stands committed to service, and strives for excellence in all endeavors.